My hair is something I definitely take pride in. So much so that I consistently buy the same shampoo and conditioner, and have for the past eight years or so. (I even went out of my way to purchase it while I was studying abroad!) So when I was approached for this Formulate review, I will admit that I was a little skeptical. However, the concept of tailoring my shampoo and conditioner formula to my exact hair care needs was not an opportunity I could just ignore. It sounded exciting, so I figured it wouldn’t hurt to give it a try! 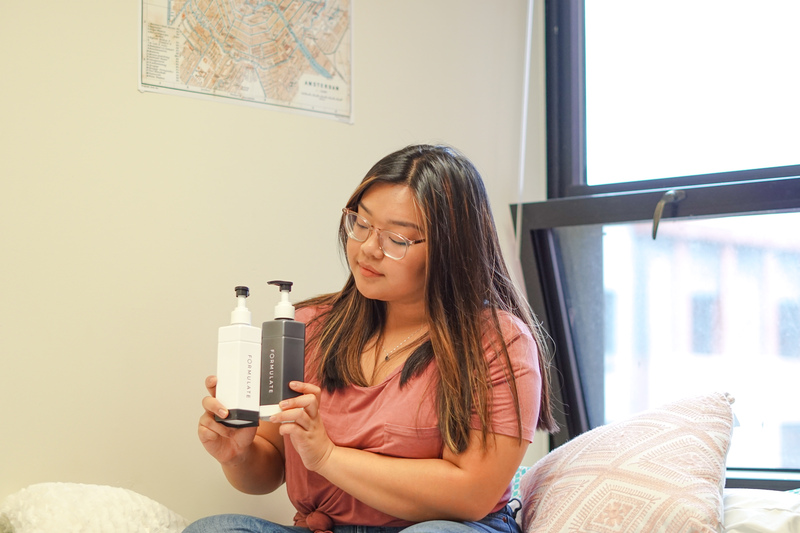 Once you answer a few hair questions, you get to pick out the fragrance of your shampoo and conditioner combo! I picked a coconut scent (which looked super promising), and I waited for my package to come in the mail. Once I received my package in the mail, I was in absolute awe of the packaging. 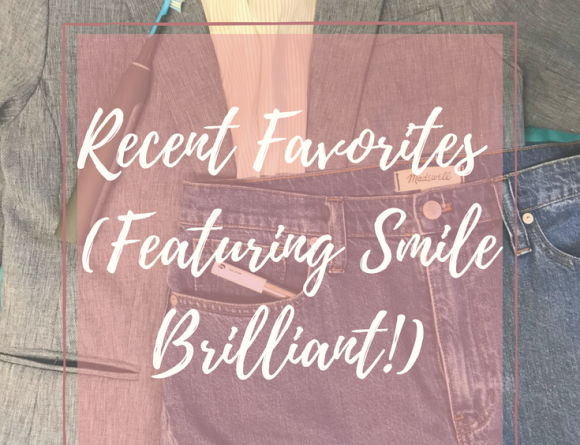 It is clean, sleek, and minimalistic – all things I love and appreciate but definitely am not, haha! I love the pump feature instead of a squeezy tube, too. It makes it so much easier to use, and ensure that I get every last drop out of the bottles. I try to wash my hair every single day (which seems like a lot, but I need it to feel clean, ok! 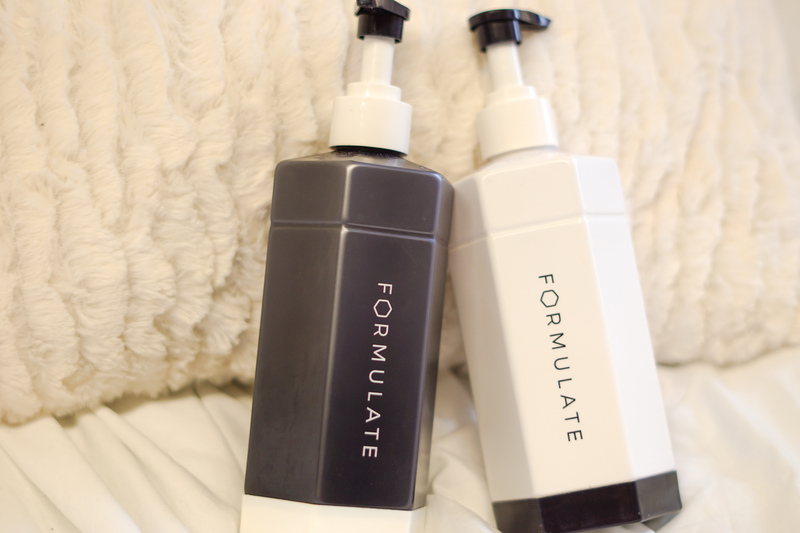 ), and have been using the Formulate formula consistently for the past four weeks. 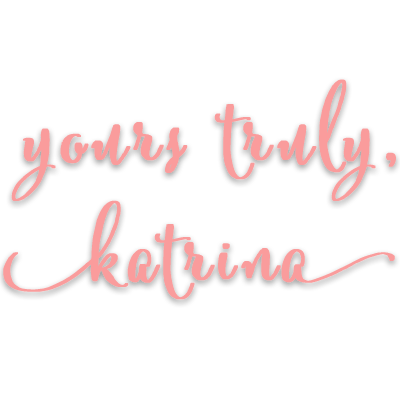 It lathers really nicely, and definitely gives a sense of satisfaction while applying it. I also love the smell – it’s not super overbearing, but pleasant enough to boost my mood a little in the morning. Beyond that, I’ve found that the Formulate formula actually worked so well for me! 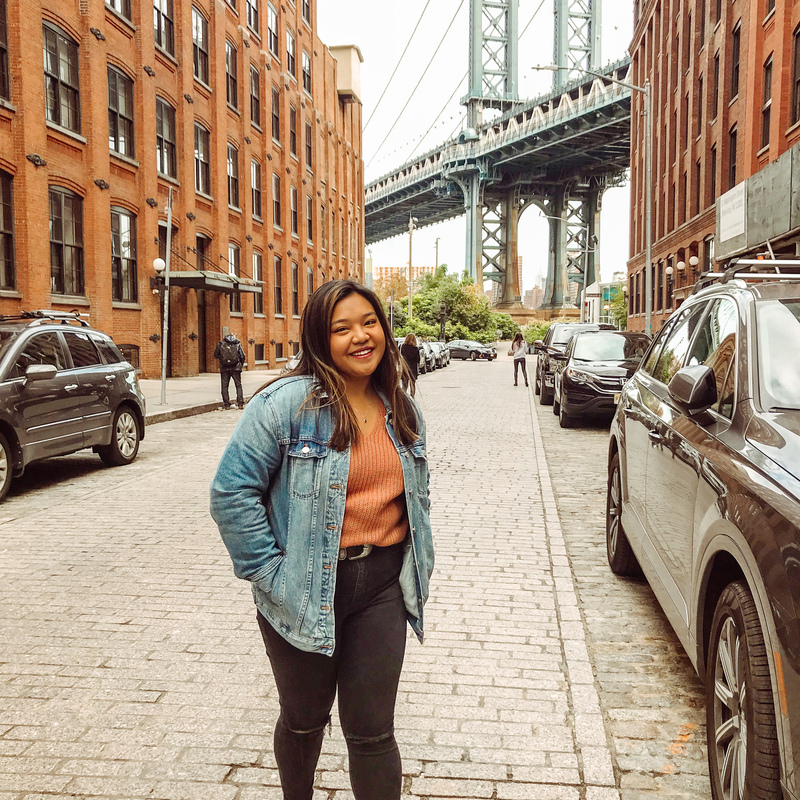 If you look at my profile, you would see that preventing thinning and improving my scalp health are two of my biggest target issues, and I saw a significant improvement in both of those areas. This might edge a little into being TMI, but since using Formulate I shed way less, and my scalp feels less tight and itchy. It has improved my confidence tons in terms of keeping my hair down, and it also makes things so much easier for me to clean, ngl. Finally, I’ve found that my hair is a teeny bit more voluminous when I use Formulate. I recently went back to my old shampoo and was surprised at how thin my hair felt! In terms of cons, my hair felt a little greasier than normal in those first few days of using it. It may have been my hair’s reaction to a new formula, but it definitely turned me off to using Formulate initially. After all, I’ve been using the same shampoo-conditioner combo for a long time. However, that feeling did go away the more I used it. I adapted my shower routine to accommodate, and I am really happy with the result. Additionally, in terms of the target issues, I did not see too much improvement in the glossiness of my hair or in color retention. I’m curious to see if more uses will improve these aspects! In the end, I’m really happy I took the plunge and tried a new shampoo/conditioner set. At first I was skeptical because A. I loved my old routine, and B. The price point did not seem to be worth it at first. 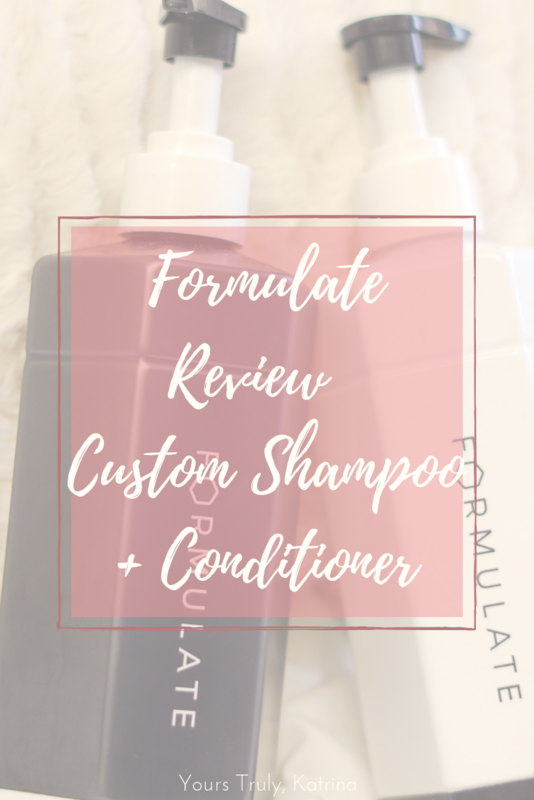 Formulate’s custom system will set you back $39, and that felt like a lot of money to pay up front for haircare. Now, after completing my Formulate review and experience, I can confidently say I’d be willing to pay the price. 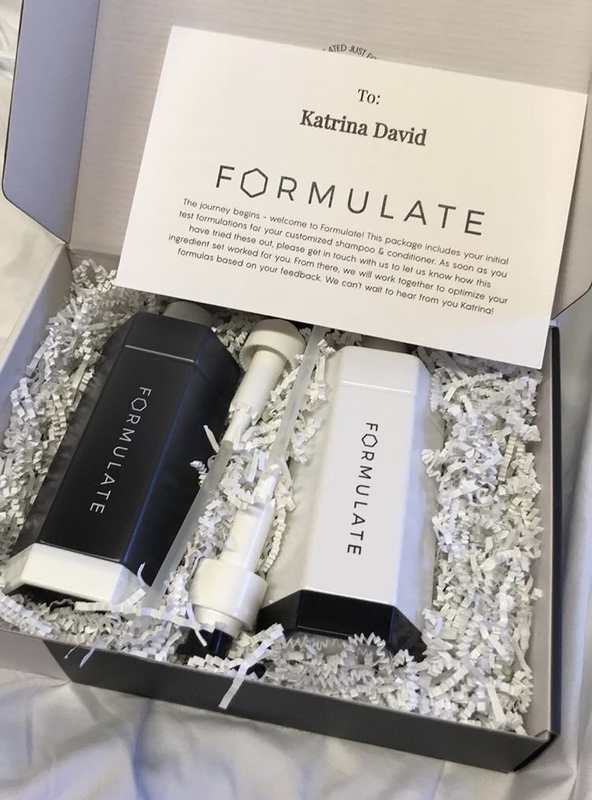 Formulate’s team has been so supportive and generous throughout this entire process, and is letting me host a giveaway for you all! 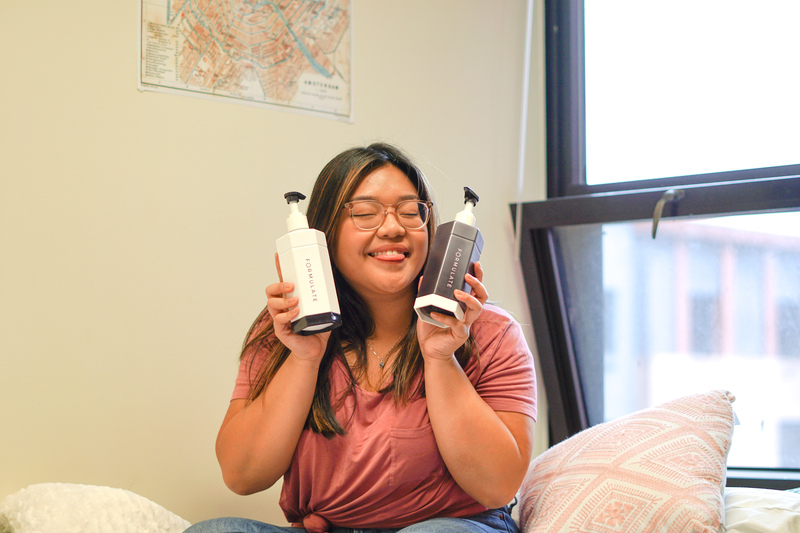 One of you will win your own customized set of shampoo and conditioner from Formulate. 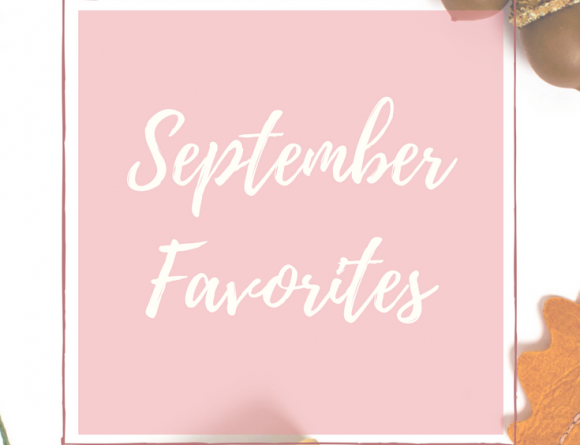 Click this link here and select “Enter my giveaway” – not only will you be entered to win, but you’ll also receive $5 off your first order! Trust me, guys – you don’t want to miss this. 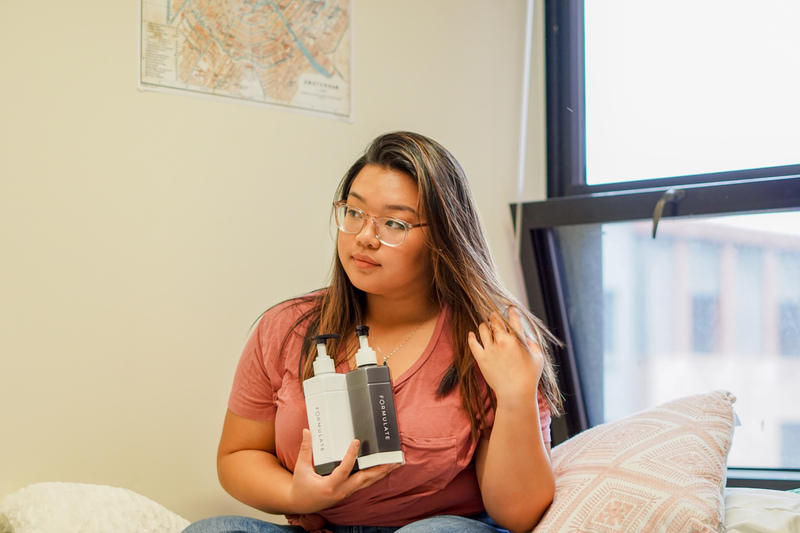 You honestly have a super high chance of winning, and I’m curious to see what your experience with Formulate will be like! Are you dead-set on your haircare routine? 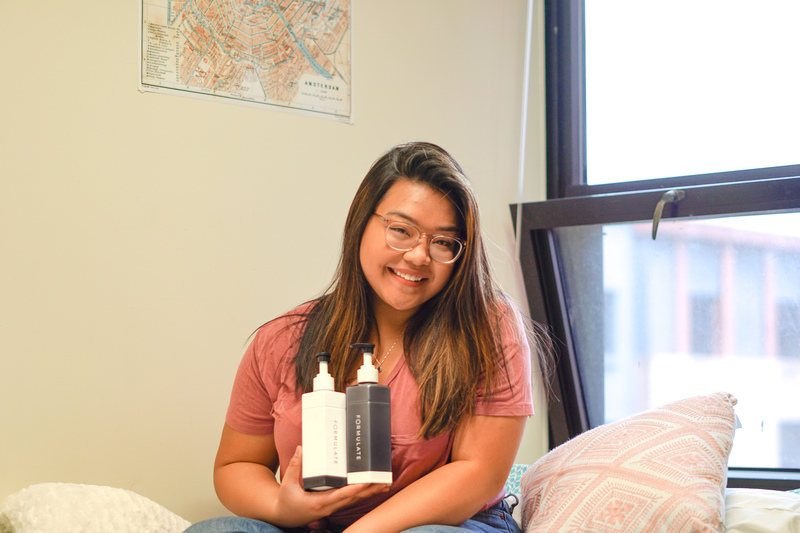 Would you be interested in trying out custom shampoo and conditioner?